The Oriole bird received its name from the resemblance of the male's colors to those on the coat-of-arms of Lord Baltimore who was the first to dream of starting a colony in America! 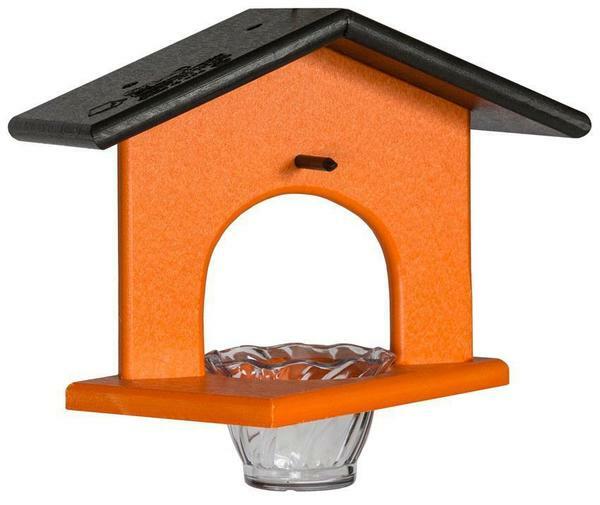 This hanging bird feeder is designed to hold a cup in the base to put the seed in while it provides room for a variety of birds to come and sit awhile! Made in northern Indiana from Eco-friendly Poly Lumber, you can trust that this feeder will not fade, crack or splinter over time. Consider pairing it with our Squirrel Feeder to keep the squirrels occupied as well.